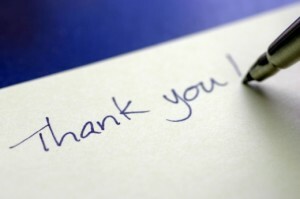 I just wanted to take a moment to say thanks so much for your support of Engaged Marriage. Because of you, this company has been able to help thousands of married and engaged couples in amazing ways. If you are reading this on RSS, then please click to come over and check out the all-new site we’ve put together over the past several months. While there are still improvements ongoing, I’m really happy with the new clean look and much easier to navigate structure of the site, and I hope you enjoy it, too. As part of our remodel, we’ve also completely updated and improved the Marriage Time newsletter. The messages are short, to the point, and focused on helping you enjoy more happiness in your relationship without taking much of your valuable time. 5 Time Boosting, Stress Busting Actions to Take for Your Marriage Today – when you complete the five items on this powerfully simple one-page checklist, you’ll be well on your way to the marriage of your dreams. Really, it’s that important. Love Everyday: Thoughts on Loving Amidst the Chaos of Life – this amazing collection of tips, lessons and inspirational stories blends the best advice from over 25 leading relationship experts. It’s no wonder this beautiful e-book has been enjoyed by over 100,000 busy couples! Marriage Mojo: 7 Simple Steps to Romance for Insanely Busy Couples – this exclusive series of mini-lessons was developed to help kick-start the romance in your time-starved relationship. It’s being offered in the Toolbox for a limited time only so grab it now. The Engaged Marriage Essentials – the true magic happens when you consistently feed your marriage with the right fuel over time. That’s why we’re including the very best marriage tools and resources sent conveniently to your inbox. From saving money to communicating better and enjoying a deeper level of intimacy with your husband or wife, you’ll enjoy a new lesson every week or so. New subscriber-only resources are added to the toolbox from time-to-time, and you’ll be the first to know. Plus, you’ll enjoy VIP access to great giveaways and special announcements. Plus, we’re doing a giveaway this weekend exclusively for our newsletter subscribers. Be sure to click here to get signed up! Going forward, you can expect more of the quality advice and marriage motivation we’ve shared in over 300 posts up to this point. Everything we do is focused on helping you enjoy a married life you love while investing just 15 minutes (or less) of your time to make it happen. Happy Thanksgiving and thanks again for supporting marriage! I don’t know any guys who don’t love a great home-cooked meal. After all, we’ve all heard the way to a man’s heart is through his stomach. According to my wife at least, there are few things sexier than sitting back and enjoying a glass of wine while I cook her a great dinner. This is an awesome way to spend an at-home date night, but it’s also appreciated when the whole family is involved. Sounds good, but I can’t cook! Even the best intentions aren’t really romantic when they end in a burnt entree and a dessert that gets passed to the dog. While I’m blessed to be married to a great cook, I personally have no culinary skills. That’s a convenient excuse for not cooking, but it’s a totally fixable problem. I know a lot of guys struggle with the same issue – they don’t know how to cook or they just don’t have any good ideas about what to prepare. And of course many wives could use some help coming up with some new, easy ideas that will impress their husband. Personally, I’m not a big fan of most cookbooks – they either feature food I’d never eat or the recipes are too complicated for me to pull off without a trip to a gourmet market. Well, I was excited to see that my friends at The Dating Divas recently released their own e-cookbook. It’s got 29 different recipes that span from appetizers to entrees and desserts. And the best part is that these recipes are actually food that we love! Plus, they’re all pretty easy to prepare, even for a kitchen novice like me. And the attractiveness of this cookbook goes beyond the food. Each recipe is accompanied by a story from the Diva who prepared it – sharing how the food impacted their date or impressed their spouse makes it all the more special. 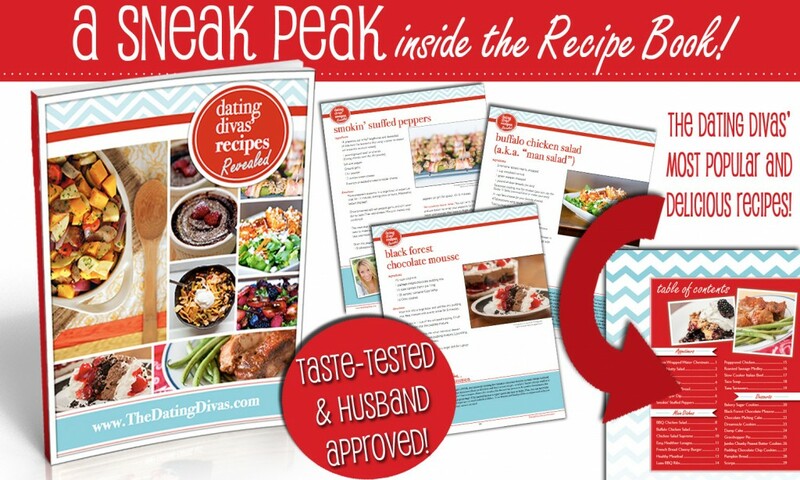 I’d encourage you to go check out the new Divas’ Recipes Revealed cookbook for yourself. Click here to get all the details. It’s only $5.97 – so for the price of a fast food meal, you can be ready to go with lots of delicious, romantic meals to cook for your spouse! By the way, the Divas also have two other great e-books that I highly recommend. You should check out The ULTIMATE Date Night Book and The A to Z Guide: 26 Ways in 26 Days to a Happier, Healthier Marriage. 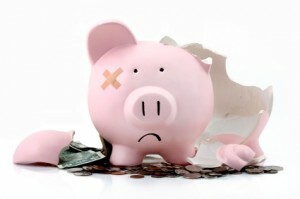 Is Your Marriage Ready for a Financial Emergency? With all the emergencies in the news lately – both from natural disasters and economic problems – the thought of a financial crisis within your own home may have come to mind. The best time to prepare was yesterday, but the next best time to get started is today. So, what stands between your family and major financial trouble? Trust me, we know it can be tough to “get ahead” enough to think about opening a bank account and putting away money specifically for an emergency. But it’s vital that we prepare for those inevitable rocky times that lay ahead. After you get an emergency fund in place, you’ll be ready to face those costly home repairs, unexpected medical bills and periods of unemployment. As a general rule, most families should have approximately 3-6 months worth of expenses in an emergency fund. It’s important to understand that this not 3-6 months of income, and it’s not inclusive of all the money you spend in a typical, non-emergency month. If you have two stable jobs and a fairly “calm” life with little volatility in your expenses, then 3 months is probably sufficient as long as that amount makes you comfortable. On the other hand, if you are a one-income family with lots of little kids around and you feel like trouble is always lurking, you should shoot for 6 months of expenses. At the end of the day, it’s a judgment call. Once you get your full emergency fund in place, you’ll probably want to move onto investing, paying off your mortgage and meeting some other financial goals. If (or when) you do encounter trouble and you have to take money from your account, you’ll need to pause these other goals temporarily and redirect your “extra” money each month back into building your emergency fund until it’s back to your comfortable level. If you’d like more information on building an emergency fund or the several other financial planning steps we recommend before you get started, please check out our full Married Money Management series. It won’t be easy, but the feeling of security and freedom that you’ll get by building an emergency fund will bring new levels of peace to your marriage. It wasn’t long ago that buying a home seemed like a no-brainer for every married couple. However, times have changed a bit with the housing crisis and the economic woes of the last several years. That said, home ownership still makes sense for many couples, and it remains one of the most important financial decisions you’ll make in your marriage. How Long Do We Plan to Live Here? This is probably the most important question you and your spouse should ask each other. You may run into some financial issues if you buy your dream home and then a new job or other extenuating circumstances force you to move. You could end up paying money to sell your home for a number of reasons. The value of your home may not have appreciated enough to cover the costs that you paid to buy it and the amount it will cost you to put it on the market. On average, it takes about three or four years to cover buying and selling costs. However, this number may vary depending on economic factors and your geographic location. Make sure to examine your financial situation, including your credit score, and make a prudent decision about whether it’s the right time for you to buy a home. As a general rule, you should have saved at least three to five percent of the purchase price of your home as a down payment. Remember, the bigger the down payment, the better the interest rate. Also, do you have a stable job? Obviously, you will need a consistent paycheck to make your mortgage payments. If you move cities or divorce, you could lose big on your investment – even if you’re able to sell the house. It’s also important to pay attention to the interest rates and the condition of the real estate market in your area. Before you decide to buy a home, you need to evaluate your current and future needs. Will they change? Do you plan to have children? Will the home be suitable for a growing family? These are all important questions to ponder. One thing you should always invest in is a home security system if your home doesn’t already have one. ADT offers 24/7 home monitoring for a very affordable price. Check out Homesecuritysystems.com to learn more about home security. When you’re renting, the landlord typically takes care of all the necessary maintenance. Contrarily, when you become a homeowner, you’ll be responsible for things like plumbing problems and lawn care. Is this something you’re prepared to deal with? Before considering a home, do some digging into the neighborhood to make sure it’s right for you and your family. Visit at different times of the day, talk to people in the community and research the crime statistics in the area. If you have or plan on having young children, it’s critical that you look into the schools as well. Not only will they impact your family’s education but the long-term value of your property. Buying a home together is an exciting experience for a married couple. Make sure you do your homework and discuss the right questions to make sure you’re prepared with all the joys (and challenges) of home ownership. Dan Martin is a financial consultant with more than 20 years of experience in the real estate business. When he’s not giving advice about home buying, he enjoys hiking with his wife and boxer mix, Rex. Who doesn’t love to retell the story of how they met, fell in love, and married? It’s always really interesting to take some time to think back to the events that brought you together with your spouse. What seems like pure coincidence at the time can certainly look much more like Divine Intervention after you’ve had time to reflect. Dustin and I are high school sweethearts (insert eye roll here), but there were many places along the way that we could have missed one another…or been pulled apart. I got kicked out of Driver’s Education my sophomore year when the class got one student too large, and I was the youngest one enrolled in the course. As a result, I got put into a new P.E. class that was doing a section on archery. Lo and behold, this goofy junior was in this same class, and he happened to be a bowhunter who loved archery..and he took every opportunity to show me the right way to shoot a bow during class. At the time, I thought he looked nice in his super short gym shorts, but I didn’t give it much thought beyond that. When we were given a copy of Come My Beloved to read, I wasn’t sure what to expect. 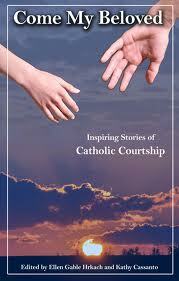 It was clearly a collection of courtship stories from Catholic couples, but I didn’t know how interesting that would be to read. The book turned out to be really heartwarming. In it, twelve couples share their stories of how they met…but with a twist. Most of the stories involve a journey that requires spiritual guidance from above. This book reminds us of how we must trust in God to show us our vocations in life through prayer and interactions with others. Reading a dozen very different stories of how couples from amazingly diverse backgrounds found each other and went on to be married is quite enlightening. While our children are nowhere near the age of dating or marrying, this book gave some good examples of how important it is to be good role models in our marriages so that our children will know what to look for in their future relationships. It was uplifting to hear how God has worked to bring so many people together, and made me want to keep reading to hear more inspirational stories about His work. The authors are looking for more examples of how couples met and fell in love. Are you willing to share yours? You can start by sharing a favorite story from your courtship in the comments below. Bethany is the better half of Engaged Marriage. When she isn’t reminiscing about Dustin’s gym shorts, she enjoys reading and spreading the good news about marriage to engaged couples through her church’s Pre-Cana marriage preparation program.